Hate, divisiveness, and despair have become the new normal for many in our world. When there are daily news stories of abuse and murder due to someone’s gender identity, religious beliefs, skin color or other form of diversity, it is easy to become numb or perpetually live in a state of fear and/or anger. Places of worship are no longer safe nor are homes, shopping centers, recreational centers, clubs, schools, or libraries. For those privileged to fit into the approved social norms or mainstream within a particular community, perhaps life is still raging on without too many hiccups. That is, life continues as long as no one out of the ordinary enters the picture to challenge the status quo. I would wager to guess that every one of us has been in a situation when we encountered someone in the children’s department of the library, online, at the grocery store, or on the street that was different from us. If we are honest with ourselves, we probably ignored the person or barely noticed them if they were silent or fit into our constructed view of what’s acceptable. Most likely, they didn’t show up on our emotional radar. However, if for some reason they didn’t match up to our idea of “appropriateness,” chances are we said or did something to distance ourselves from them. Unconsciously, we did a quick mental check of all the ways they were lacking and then decided the level of threat they posed to us and our situation. Then we reacted, such as moving to the other side of the street, offering (or thinking of) a rude comment /look, flaming or doxing them online, or, for the more passive ones of us, engaging in a microaggression of some form to “put them in their place.” While we may not have engaged in a violent act, the damage inflicted was equally harmful and painful as pulling a trigger or lighting a bomb. If we are truly being honest, each and every one of us is guilty of being unkind at minimum or extremely hurtful and damaging to someone else different from us. It is horrible when this happens outside the library on our “personal time,” but it is even more egregious when it happens in the children’s department of our libraries. On a regular basis, we encounter stories of disruptions of children’s and family programs because someone decides that the particular cultural group being celebrated is a threat to children. We also read stories of persons being barred from programs or the library because of their appearance. And, we see stories that describe how a librarian unintentionally planned a children’s program that was either exclusive to particular cultural groups or perpetuated systemic racism or other form of hate. 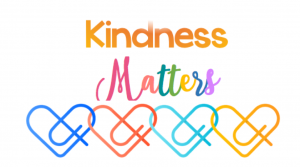 These instances, which happen much more often than what we see in the news and on social media, highlight the urgent need for kindness on our parts. Last week on Giving Tuesday, I sent an email encouraging members to donate to Friends of ALSC if they were financially able to help support initiatives and activities within ALSC that support all children around the country (My sincerest thanks to those of you who made donations to Friends of ALSC on Giving Tuesday or during the past year). I also suggested that each and every one of YOU could donate your time and talent every day to help all children and their families to have healthy, successful futures. It is easy to help children from cultural groups that we have an affinity towards or that we find “acceptable.” In fact, you probably do this regularly as part of your job. However, it is not as easy to do this if children and their families come from a cultural group that, for whatever reason, you deep down, don’t want to accept or welcome. It is even harder if they come from a group that has oppressed you, your family, or your own cultural group in the past. In these difficult times where cultural groups are being targeted, marginalized, and not supported in our country and around the globe, I ask you to please choose kind, step outside your comfort zone, make a concerted effort to reach across those divisive lines (real or virtual), and do your best to support all children and families. Review your library policies to be sure they are not inadvertently excluding certain persons or groups from your programs or the library. Please examine your collections to see what message your materials (print and digital) are sending to others about their cultural group or that of their peers. If certain members of your community are hurting, look for ways to create a safe space in the library for them to feel welcomed and accepted. Finally, look within your own work and see where you can improve. Are you practicing cultural humility? Is there a cultural group that makes your uncomfortable? If so, work to become more culturally literate about that culture and discern how you can overcome your biases and prejudices. If you or someone in your library has constructed divisive walls via policies, actions, unkind words and microaggressions, or unwelcoming collections and spaces, take a moment to discern how you can break down those barriers and repair the damage that has been inflicted. ALSC has numerous resources that can help you choose kind and support all children and their families. Our Serving Diverse Communities: ALSC Supporting Libraries in Today’s Changing Environments is a member-sourced resource list to help librarians support children and families through times of unrest and uncertainty. Included are resources with books and activities to help children understand antisemitism, Islamophobia, racism, homophobia, and other types of discrimination. The list is maintained by ALSC’s Public Awareness committee and includes contact information to allow ALSC members to suggest resources for addition to the tool. Another resource that ALSC has available to help you support all children and families is our expansive booklists such as Working Together for Justice, Comforting Reads for Difficult Times, Unity. Kindness, Peace, and Stories of Immigration: Perspectives from Pura Belprè Medal and Honor Books. Our Día initiative also provides many suggested activities, booklists, and programming ideas to assist librarians as they promote cultural humility within their community. Be sure to check out the Action tab for many useful resources to also help you support diverse members in your local community. The ALSC Education Committee is currently exploring options for a type of training to help members in the future examine their cultural humility and build cultural understanding. As I’ve mentioned before, the ALSC Equity, Diversity, and Inclusion Taskforce is also examining ways to make our association welcoming to all types of diverse communities. We are piloting the Equity Fellowships to help increase diversity within our membership but that is just one step. More will be forthcoming. It is my earnest desire that you will use our current and forthcoming resources to help you in your daily professional work as you choose kind and welcome the stranger at your library door and in your community. These resources can help you be advocates for social justice and can empower you to be the change agents in your communities that will embrace diverse voices and perspectives. Finally, in a time when so many people need support, please join me in ALSC’s commitment to building a diverse and inclusive profession, so that we can positively transform communities through libraries. Let’s treat others 1000 times better than we would want to be treated! This post addresses the following ALSC Core Competencies: I. Commitment to Client Group, V. Outreach and Advocacy, and VII. Professionalism and Professional Development.